The Revolution Series is our most popular line of advanced ceramic knives. Priced at a value with a full assortment of zirconia blade sizes, these knives were designed with comfortable, ergonomic handles for precise control. The ceramic blades are made from Kyocera's proprietary zirconia material produced in Japan and stay razor sharp at least 10 times longer than traditional knives, making them ideal for everyday use. The perfect choice for slicing fruits, vegetables and boneless meats. Not intended for frozen or hard foods. Kyocera advanced ceramic cutlery and kitchen tools are fully warranted to be free of defects in material and craftsmanship. 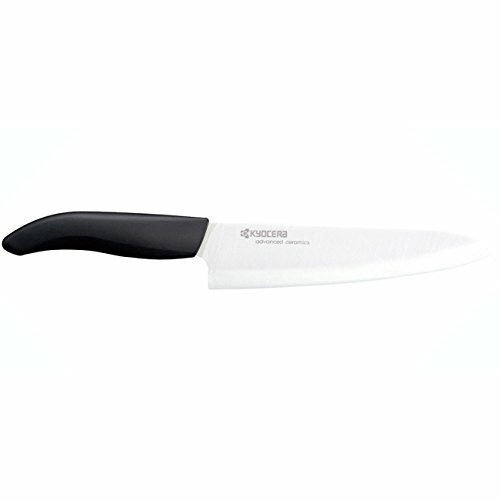 A great set for a first-time introduction to using Kyocera ceramic knives in the kitchen, especially for the beginning home cook--at a value.